I always feel like New year Resolutions are so dumb, we all know that they won't work and within a few weeks its back to same old same old. However, last year I set a pretty simple goal to achieve and that was Confidence. I wanted to step out my comfort zone and just be confident. I think I pretty much nailed it, I think 2016 was the year I came out my bubble. I travelled places on my own that I didn't think I would, realising it wasn't that bad. I mentioned my struggles with public transport last year and I can say 100% I am so much better, I can get the bus and not think anything of it. I got the bus after a night out at like 2 in the morning on my own, something that I would never have thought last year would happen. I also made my way to Manchester with the help of lovely Hannah, who I met for the first time at the train station, to the meet 6 others (Shout out to Emily, Fran, Robyn, Jade, James and Cei) who we had just spoke online. To me, that is a big deal, and actually, I made some of the best friends out of it. We have actually planned another trip to meet up at the end of this month, again I need to travel on my own. Does that bother me?? NO! The biggest thing this year was obviously getting accepted to Camp Tanuga through Americamp, I have been wanting to work in a summer camp since I was young so this is *cringe* a dream come true. I am going to be travelling on my own and meeting some girls over there to start our summer, this is a little more daunting however I know I can do it! 2016 was so successful for me that I feel that I can't top it, however, this year I was to take more time for me. I want to be able to not stress over a text that I haven't had a reply to or a friend that I haven't seen in months. My mum said to me in the later part of 2016 that I used to be, so carefree and not worry about anything and that I now I stress about tiny little things, and yeah that is true and I want that to change. I also want to take my confident and not be afraid to meet new people, yeah I lost friends, but by the end of the year, I made so many amazing others that I am so grateful for! For some people, 2016 was rubbish but not to be complete CRINGE but I actually loved it, it really changed my outlook on everything!! I have so many amazing exciting things happening this year and I can't wait!!! I really want to hear what you achieved this year? What are your goals? Sounds like you had a great year! I'm really bad on public transport, I need to get that under control this year! It's one of my goals is to be more carefree too, my health really suffered from getting stressed so I defo won't be getting worked up over little things any more! Congrats on having a successful 2016! I hope 2017 is an amazing year for you! Oh well done on making 2016 such a good year for you! That's so lovely that you gained so much confidence last year! It's nice to have just one goal rather than set lots of resolutions that as you say will just fail! I think I gained a lot of confidence last year too! It's amazing you are doing Camp America. It's a dream I always had too but I feel like I'm too old now haha! You'll have a great time! Sounds like you really accomplished lots in 2016; sometimes out of a bad situation something good can happen! 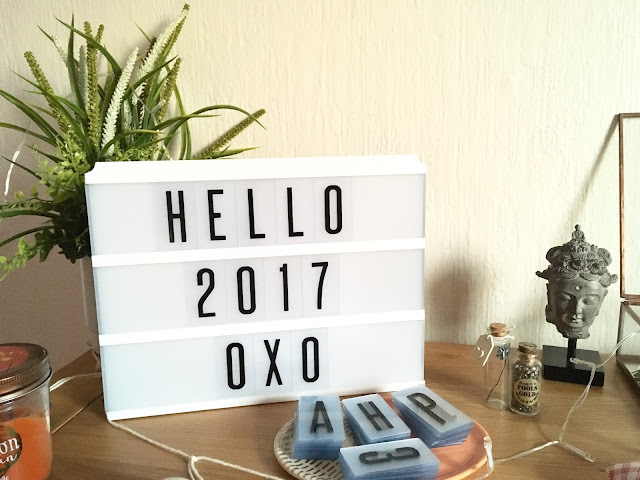 Here's to a fab 2017! Happy New Year, Emma! Your trip to Camp America sounds amazing, I remember being so jealous when you first mentioned it! I'm sure it'll be the trip of a lifetime! Well done for conquering your public transport issues as well, that's something to be proud of! You overcame so so much last year you done amazingly!